Sponsoring the Scrip Awards is the most cost-effective way to consistently promote your company to the global biopharmaceutical industry over an extended period of time. IQVIA™ is a leading global provider of information, innovative technology solutions and contract research services focused on using data and science to help healthcare clients find better solutions for their patients. 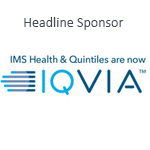 Formed through the merger of IMS Health and Quintiles, IQVIA offers a broad range of solutions that harness advances in healthcare information, technology, analytics and human ingenuity to drive healthcare forward. IQVIA enables companies to rethink approaches to clinical development and commercialization, innovate with confidence as well as accelerate meaningful healthcare outcomes. IQVIA has approximately 55,000 employees in more than 100 countries, all committed to making the potential of Human Data Science a reality. IQVIA’s approach to Human Data Science is powered by the IQVIA CORE™, driving unique actionable insights at the intersection of big data, advanced technology and analytics with extensive industry knowledge. To learn more, visit www.iqvia.com. Masters Speciality Pharma is a global pharmaceutical company with a vision to provide access to excellence in medicines for all, with a priority in the Emerging Markets. Headquartered in the UK with subsidiaries in USA, Brazil, El-Salvador and Uruguay, Masters operates as two divisions; Masters Speciality Access (MSA), an end to end supply of unlicensed medicines for unmet and life threatening medical needs. Masters Speciality Medicines (MSM) provides healthcare professionals, clinics and hospitals with a reliable and affordable source of high quality medicines, which are locally registered under Masters’ name. All delivered with comprehensive regulatory compliance and global pharmacovigilance. MSD has a strong history of success in translating cutting-edge research into life-saving medical breakthroughs. Our European Innovation Hub (located in London) is embedded in one of Europe’s key scientific communities to drive engagement with local academia, biotech, peer pharma and venture capitalists. The Hub includes a Business Development & Licensing team, Clinical teams and our UK Discovery Research Centre. The Centre, established in 2018, will drive scientific and medical advances against some of the most challenging diseases facing ageing populations. It will initially focus on the study of changes in the fundamental mechanisms of cell homeostasis and resilience in the context of ageing that lead to disease. Skipta is the leading social network of specialized online medical communities for verified healthcare professionals (HCPs). Skipta’s growing network of more than 30 specialty communities allow verified HCPs to communicate and collaborate with peers in a focused, secure environment. The company enables pharmaceutical and biotech brands to drive awareness and behaviour change by bringing to them multi-channel access to verified HCPs through integrated engagement programs. Syneos Health is the only fully integrated biopharmaceutical solutions organization. Our company, including a Contract Research Organization (CRO) and Contract Commercial Organization (CCO), is purpose-built to accelerate customer performance to address modern market realities. Created through the merger of two industry-leading companies – INC Research and inVentiv Health – we bring together more than 21,000 clinical and commercial minds with the ability to support customers in more than 110 countries. Together we share insights, use the latest technologies and apply advanced business practices to speed our customers’ delivery of important therapies to patients. Founded by physicians committed to advancing medical science, Worldwide is out to change how the world experiences CROs – in the best possible way. 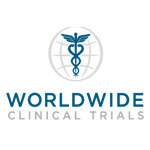 From early phase and bioanalytical sciences through late phase, post-approval and real-world evidence, we provide world-class, full-service drug development services across a range of therapeutic areas, including central nervous system, cardiovascular, metabolic, immune-mediated inflammatory disorders (IMID), oncology and rare diseases. We never compromise on science or safety. We’re never satisfied with the status quo. We’re the Cure for the Common CRO. http://www.worldwide.com. WuXi AppTec Group is a leading global pharmaceutical, biopharmaceutical, and medical device open-access capability and technology platform, with global operations. As an innovation-driven and customer-focused platform, WuXi AppTec Group provides a broad and integrated portfolio of services to help our worldwide customers and partners shorten the discovery and development time and lower the cost of drug and medical device R&D, through cost-effective and efficient solutions. With its industry-leading capabilities such as small molecule R&D and manufacturing, cell and gene therapy R&D and manufacturing, medical device testing, biologics R&D and manufacturing, genomics and molecular diagnostics, WuXi’s platform is enabling more than 3,000 innovative collaborators from more than 30 countries to bring innovative healthcare products to patients, and to fulfill WuXi's dream that "every drug can be made and every disease can be treated.